Hugh Jackman Negotiating Return as Wolverine in "X-Men: Days of Future Past"
Australian hunk has played the brooding mutant six times, including an uncredited appearance in "X-Men: Origins." 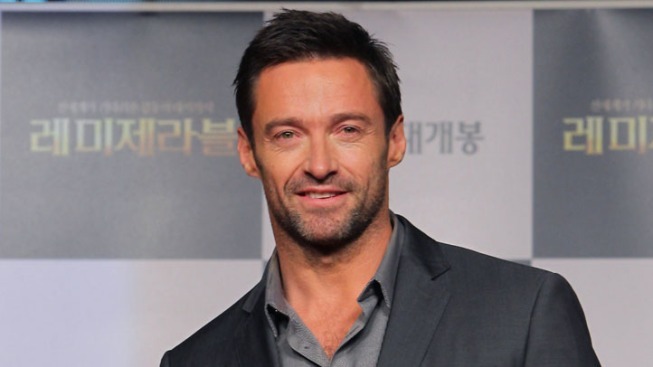 Hugh Jackman, pictured here at the 'Les Miserables' press conference in Seoul, South Korea, is in talks to reprise his role as Wolverine in a new X-Men movie. Here's something to howl about: Hugh Jackman may be raring to strip down and fuzz up as Wolverine again. The Australian hunk is in talks to reprise the role for director Bryan Singer's upcoming "X-Men: Days of Future Past," the sequel to "X-Men: First Class" (which, in turn, was a prequel to the trilogy that starred Jackman as the brooding mutant in the first place), Jackman's rep confirms to E! News. We could probably use a superhuman mastermind to sort this all out for us, but we'll do our best. In addition to Singer's "X-Men" and "X2," the Brett Ratner-directed "X-Men: The Last Stand" and an uncredited appearance in "X-Men: Origins," Jackman also starred in his own spinoff, 2009's "X-Men Origins: Wolverine" and has "The Wolverine" coming out next year. So he could probably do "Days of Future Past" in his sleep. Anne Hathaway says Les Mis haircut made her look like her "gay brother"
But why would he want to? Singer revealed Monday that Patrick Stewart and Ian McKellen are onboard to join his worlds-colliding addition to the sprawling franchise, so Jackman will get to work with some of his old cronies again. The cast also includes "First Class" alums Michael Fassbender, Nicholas Hoult, Jennifer Lawrence and James McAvoy. Long before we're cheering for Wolverine again, however, Jackman will be making us weep into our popcorn as Jean Valjean in the sweeping musical adaptation of "Les Misrables" that will be storming the theater barricades on Christmas Day.